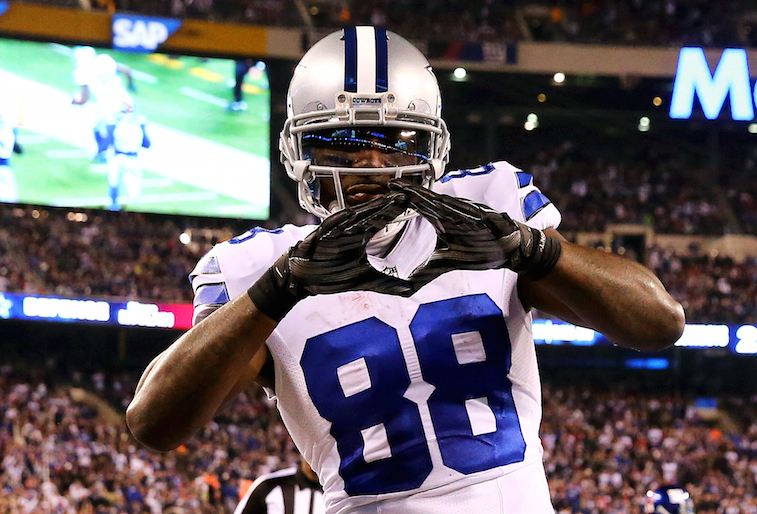 NFL: Are Dez Bryant and DeMaryius Thomas Really Worth Big Money? In the National Football League, being tagged as a team’s franchise player can be a Catch-22. For players, it can be taken as a sign of respect, meaning that their team thinks highly enough of them that they desperately want to keep them off of the free agency market. However, often times receiving the franchise tag means that the player in question will not be receiving the security of the long-term contract extension they were likely looking for. As you can expect, both Thomas and Bryant are in search of long-term contract extensions, and rightfully so. Their statistics clearly suggest that they are each highly deserving of contracts that would make them among the highest-paid players in the league at the wide receiver position. The only other players with comparable stats over that same three-year period are A.J. Green of the Cincinnati Bengals and Calvin Johnson of the Detroit Lions. Green was drafted a year after Thomas and Bryant, so he will be in the same situation when his rookie deal expires after the 2015 season. Johnson, on the other hand, is making huge money. 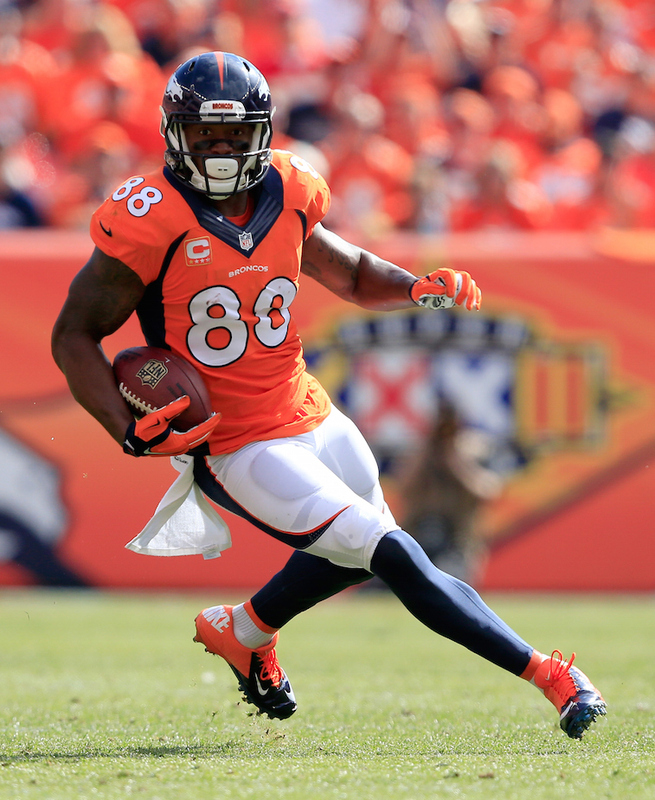 The four-time All-Pro is currently playing on a seven-year, $113.45 million deal. His per year value of $16.2 million, and guaranteed money of $48.75 million are the types of figures Thomas and Bryant are seeking in their contract extensions. With that said, is either player really worth that type of money? In 2014, there were three rookie wide receivers – Odell Beckham Jr. of the New York Giants, Kelvin Benjamin of the Carolina Panthers, and Mike Evans of the Tampa Bay Buccaneers – who had 1,000 or more receiving yards. A fourth rookie – Sammy Watkins of the Buffalo Bills – came within 18 yards of a 1,000-yard receiving season, as well. Just a couple of month ago, there were six wide receivers taken in the first round and three more taken in the second round of the 2015 NFL Draft. At this point, you may be asking yourself, “what’s this guy’s point?” Well, we’re here to tell you that sinking $15 million per season and $40 million of guaranteed money into a wide receiver may not be the wisest move in today’s NFL. In looking at the list of the top-10 wide receivers in the league for the 2014 season – in terms of total receiving yards – we found that only Jordy Nelson of the Green Bay Packers and Antonio Brown of the Pittsburgh Steelers played the season on a contract that pays an average of $8 million or more per season. In fact, the only player to finish in the Top-15 in total receiving yards was Calvin Johnson. Let’s use the Broncos as an example. Last offseason, they signed Emmanuel Sanders to a three-year, $15 million deal, and all he did was go on to catch 101 passes for 1,404 yards and nine touchdowns. If they can get that kind of production for $5 million per year is it really worth it for them to pay $10 million more per season for the extra 10 catches, 200 yards, and two touchdowns that Thomas produced during the same season? While Sanders’ numbers were undoubtedly aided by the fact that he had Peyton Manning throwing him the ball, his production clearly shows that wide receivers are much easier to come by than say, an All-Pro edge-rusher, a shutdown cornerback, or an elite offensive tackle. The point of this article isn’t to sit here and tell you that Thomas and Bryant aren’t going to get the massive contracts they are looking for. It may not be the Broncos or Cowboys who wind up signing them, but it’s a virtual guarantee that there will be at least one team willing to give both players the huge deals that they are seeking. What we are trying to convey is that the money it will take to sign these guys would be better spent on other positions.